Rev. James Robert Sharpe and wife Bunnie are life long natives of Aiken, SC. working in ministry together for the past thirty plus years. They have two amazing daughters, Crystal Sharpe Boettcher and April Sharpe Rodgers and three beautiful grandchildren. Pastor Sharpe received Jesus as his Lord and Savior at a young age when attending Bethel Baptist Church in Aiken, SC., and as a teenager worked with the Salvation Army Church. At the age of 19 he married his childhood sweatheart Bunnie McCarty who introduced him to the Pentecostal Movement lauching him into ministry in 1985 as the youth minister at Christian Fellowship Hall in Warrenville, SC. Then in 1987 he became the Associate Pastor at Liberty Temple Church in Clearwater, SC. until 1991 when he tranferred and renewed his ordination to the Warrenville Revival Center in Warrenville, SC; there he worked for a period of 16 years in various types of ministries. After leaving the Warrenville Revival Center he ministered with the Assemblies of God approximately two years. However, on November 23, 2008, with the support of his family, Pastor Sharpe and wife Bunnie founded Salvation Praise Church (SPC), originally named Salvation Praise Ministries. SPC was founded out of a deep desire to fulfill the vision given to Pastor Sharpe and his wife to spread the fire of Evangelism, teach Discipleship, and minister Hope and Restoration. SPC ministries lead Pastor Sharpe to Unity Holiness Church (UHC) to inquire about renting the church for Sunday afternoon meetings. This inquiry led to the acquaintance of the Pastor of UHC Rev. Leo Wood. After renting the church for a couple of years, God led Pastor Sharpe to attend services at UHC prior to scheduled services at SPC; it was during these visits that Pastor Wood shared his plight regarding his health condition. Pastor Wood spoke with his congregation and they voted unanimously to ask Pastor Sharpe if he would agree to take over Pastorship at UHC. 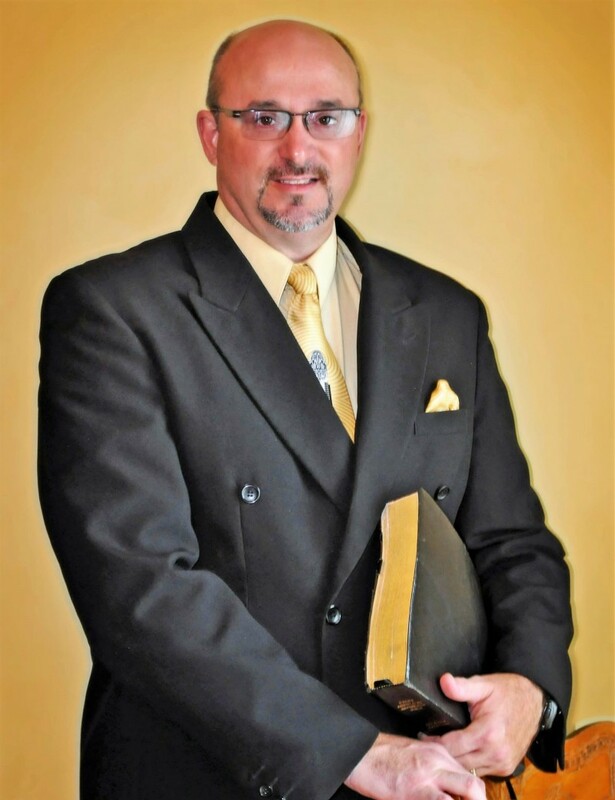 Pastor Sharpe graduated from Aiken High School in 1984 and received his Doctor of Ministry degree in 2004 as a graduate of Christian Life School of Theology (CLST) presently known as Beacon University Institute of Ministry located in Columbus, GA. He has also received certificates of completion from American Association of Christian Counselors and Assemblies of God History in Missions, and Governance courses with Berean School of the Bible through Global University. Pastor Sharpe’s passion is Complete Evangelism to the world around us and to follow the example of Jesus to teach discipleship to others. Bunnie’s passion is to minister Hope and Restoration to all who are broken.